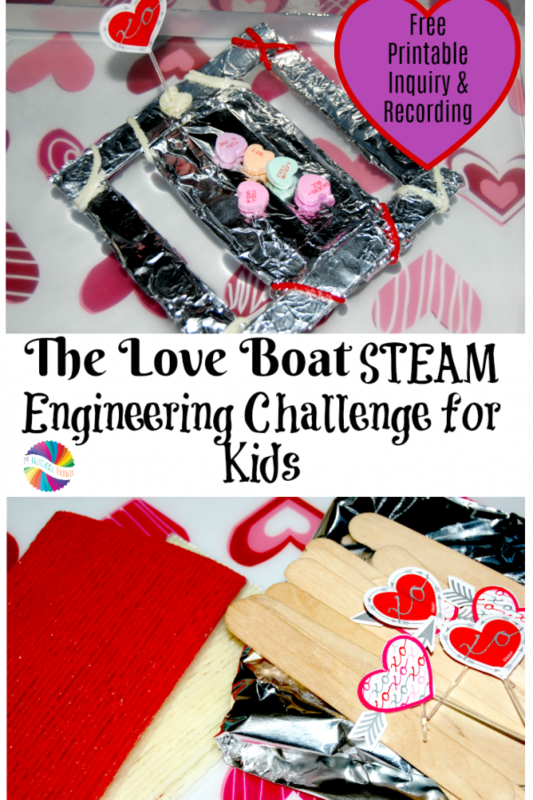 The Love Boat STEAM Engineering Challenge for Kids! We are pleased, once again, to partner with Left Brain Craft Brain in the 28 Days of STEM and STEAM project. Simple STEAM challenges give kids opportunities to use science, technology, engineering, the arts, and math to develop critical thinking skills they can take into their everyday world. The Love Boat STEAM Engineering Challenge is FUN for kids, but they'll build important skills while … [Read more...] about The Love Boat STEAM Engineering Challenge for Kids! 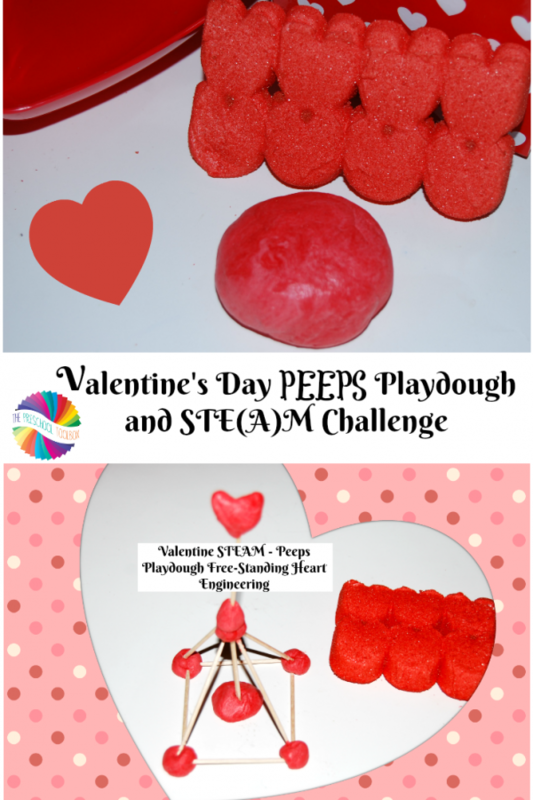 Valentine’s Day STEAM: PEEPS Playdough and Heart Engineering Challenge! We are pleased to join other amazing educators and educational bloggers this month in the 28 Days of STEM and STEAM project by Left Brain Craft Brain. Opportunities to explore STEM and STEAM (Science, Technology, Engineering, the Arts, and Math) challenges in the classroom or at home do NOT have to be complicated. 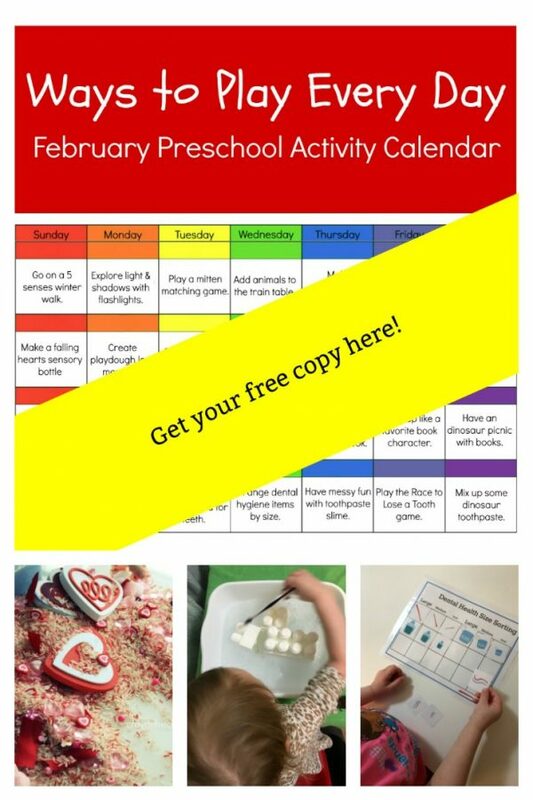 By offering simple challenges, kids will develop critical thinking skills to take … [Read more...] about Valentine’s Day STEAM: PEEPS Playdough and Heart Engineering Challenge! 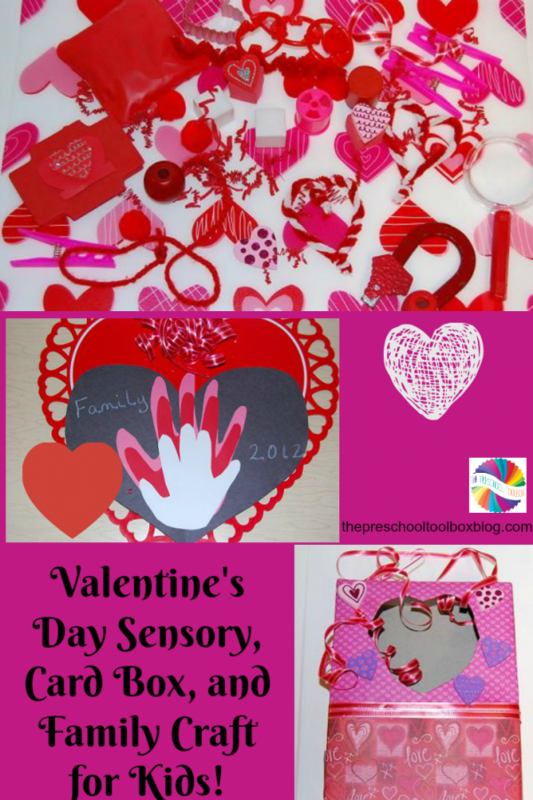 Valentine’s Day Crafts and Sensory Mats for Preschool! Create special moments this Valentine's Day with a sensory mat, Valentine's Day card box craft, and a treasured family hand print craft preschoolers can create with simple materials.Valentine's Sensory Mats Disclosure - this post and others within the blog contain affiliate, distributor, and/or sponsored content and links. Please see our Disclaimers page for more information. 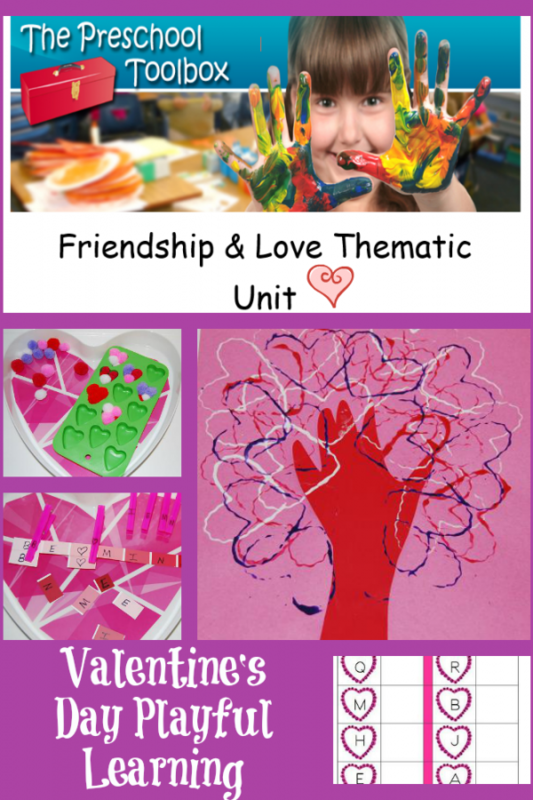 Materials … [Read more...] about Valentine’s Day Crafts and Sensory Mats for Preschool! Valentine’s Day Crafts and Activities for Preschoolers! Do you celebrate Valentine's Day with your children or students? The "day of love and friendship" can be FUN with a little planning and a few special activities! Tree of Love Handprint Craft for Kids Materials needed: Red Construction Paper (one per child), Pink Mounting Paper (one per child), assorted Valentine's colors of washable tempera paint, heart shaped cookie cutters, paint … [Read more...] about Valentine’s Day Crafts and Activities for Preschoolers! 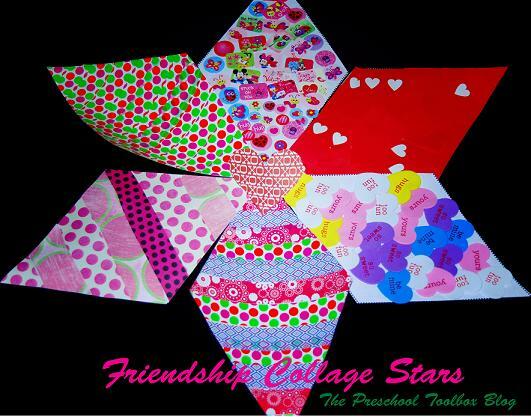 The Shape of My Heart by Mark Sperring – Creating a Friendship Star with Kids! The Shape of My Heart by Mark Sperring is adored by all of our kids! We bought this book to use as a Valentine's Day book, but it is a great one to read all year long! The illustrations are delightful and invite the children to interact as each page is read. It is a wonderful book to explore the various shapes that children encounter each day. While the book is intended for a younger audience, … [Read more...] about The Shape of My Heart by Mark Sperring – Creating a Friendship Star with Kids!